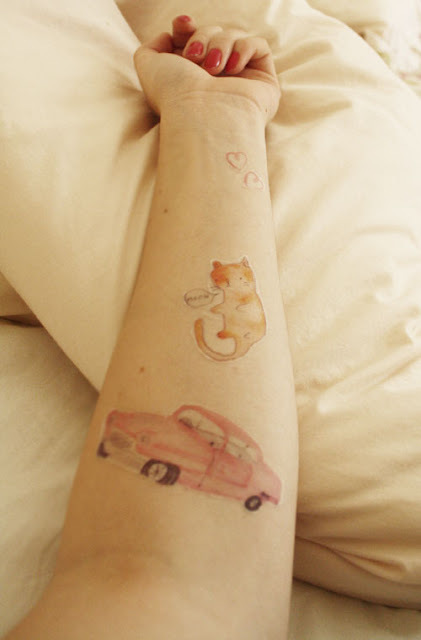 Temporary tattoos on decal paper. Made for plastering all over your arms and your legs and your face and wherever else you wish. Tattoo sets in the shop as of today! oh my holy smokes! They're amazing! Oh Caitlin, these are truly the prettiest ever! 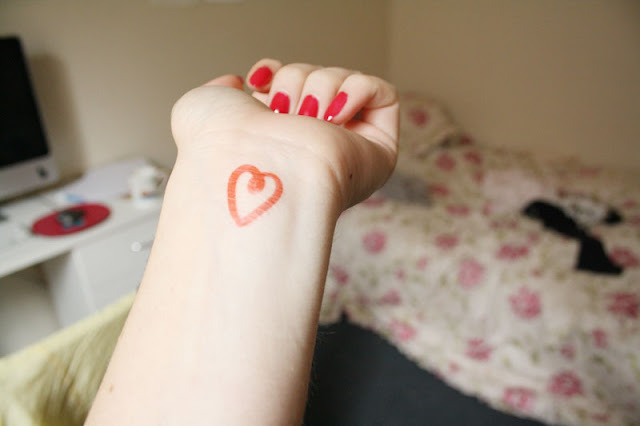 <3 I absolutely can't wait for pay day! I imagine they'd look so cute on you Jo - paired with one of your nice dresses and those amazing glittery galaxy shoes! Thanks Kailey - i'm totally in love with your shiny mermaid dress! What a cool girl you are. Decal paper + an inkjet printer! You always make the sweetest things ! 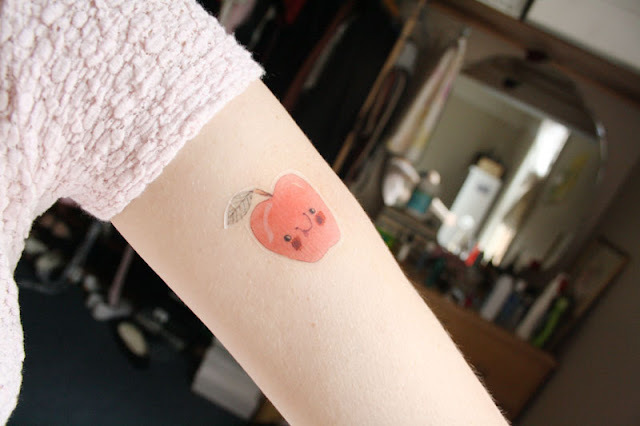 Making your own temporary tattoos is genius! I can see those pin up girls being requested as real tattoos as well.. The mermaid tattoo design you did a while back was incredible! Thanks - i do love working on tattoo commissions - in fact i was working on one just yesterday! having temporary tattoos of your own work is so cool! wowowow! i have giant hearts in my eyes right now! haha, just like one of your drawings, sashiko! Wow, so nifty! I love the designs you included. The little kitty especially. Oh my goodness, how lovely!